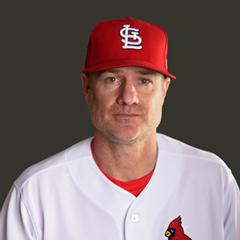 St. Louis Cardinals bench coach David Bell has left the organization to become Vice President for Player Development for the San Francisco Giants. Bell served as the Cardinals bench coach for the past three seasons and was the assistant hitting coach in 2014. Before joining the organization, the 45-year old spent one season as the third base coach for the Chicago Cubs. Bell began his coaching career in the Cincinnati Reds’ minor league system. Bell played four seasons for the Cardinals from 1995-1998 as a bench infielder. His career in the majors totaled 12 years, including one season with the Giants. Bell also played for Cleveland, Seattle, Philadelphia and Milwaukee. Bell’s father and grandfather were also major league players. His brother, Mike Bell, was a third baseman for a short time with the Cincinnati Reds, while his father Buddy Bell, played for the Reds from 1985-1988, and also had seasons with Cleveland, Texas, and Houston. Buddy Bell managed from 1996 to 2007 with the Tigers, the Rockies, and the Royals, and currently serves as Vice President and Assistant General Manager for the White Sox. The departure of Bell leaves three coaching positions open for 2018. The Cardinals previously released pitching coach Derek Lilliquist and bullpen coach Blaise Ilsley. The search to replace all three is ongoing. The Cardinals are reportedly interested in former Tampa Bays pitching coach Jim Hickey as a replacement for Lilliquist. The Cubs have also been reported to be interested in hiring Hickey following the dismissal of pitching coach Chris Bosio. Hickey is scheduled to interview with the Cubs on Monday. St. Louis President of Baseball Operations John Mozeliak has declined to offer specifics regarding any pursuit of Hickey or the search for a pitching coach other than to say he would like to complete the search by the end of the month. The World Series is scheduled to begin on Tuesday, October 24. The series pits the Houston Astros against the Los Angeles Dodgers in a best of seven. The Dodgers have home field advantage in the series, thus Games 1 and 2 will be played in Los Angeles. Once the World Series concludes, the offseason officially begins. Pending free agents officially enter free agency at 9 a.m. EST on the day following the end of the World Series. What follows is a quiet period, where teams can enter into discussions with their pending free agents about extensions. Other teams are prohibited during this period, which lasts five days, from negotiating with or entering into contracts with another team’s free agents. During this quiet period, teams may make their free agents a qualifying offer, which is valued at about $17.4 million dollars for a one-season contract. Free agents have ten days following the conclusion of the quiet period, to accept or reject the qualifying offer. Cardinals free agents are Lance Lynn, Juan Nicasio, Zach Duke, and Seung-Hwan Oh. The Cardinals are reported to be considering the qualifying offer only for Lynn. The World Series is set to begin on Tuesday, with a matchup between the Houston Astros and the Los Angeles Dodgers. Last week, the history segment focused on the NLCS and the Cardinals franchise history with respect to it. This week I will take a look at the Cardinals in the World Series. As most fans reading this know, the Cardinals have 11 World Series titles in franchise history, the most of any National League team, and the second most of any MLB team. Only the New York Yankees have more, with 27 titles to their name. The first World Series title occurred in 1926. That series was played against the aforementioned New York Yankees, who the Cardinals defeated four games to three. That Cardinals team featured player-manager Rogers Hornsby, as well as pitchers Grover Cleveland Alexander, aka “Pete” and Jesse “Pop” Haines. Also on that team was future St. Louis manager Billy Southworth. The most famous Yankees to play in that series were Babe Ruth and Lou Gehrig. Ruth hit three home runs in Game 4, a record that has only been matched four times since. Ironically, that includes 2011, when Albert Pujols hit three home runs for the Cardinals in Game 3. The Cardinals won World Series titles 10 more times, in 1931, 1934, 1942, 1944, 1946, 1964, 1967, 1982, 2006, and 2011. In addition, the Cardinals lost the Series eight additional times, in 1928, 1930, 1943, 1968, 1985, 1987, 2004, and 2013. The Cardinals played the Yankees in the World Series five times, the most of any other team, with the Cardinals winning three. Boston was the next most common opponent; the Cardinals played them four times, most recently in 2013. The Cardinals defeated Boston in 1946 and 1967. The Cardinals played Detroit three times, and Philadelphia twice, defeating Detroit in 1934 and 2006, and Philadelphia in 1931. The Cardinals have never swept a World Series opponent, but were swept themselves twice, by the Yankees in 1928, and by Boston in 2004.